Travel to New York with Coney Island Hot Dogs! 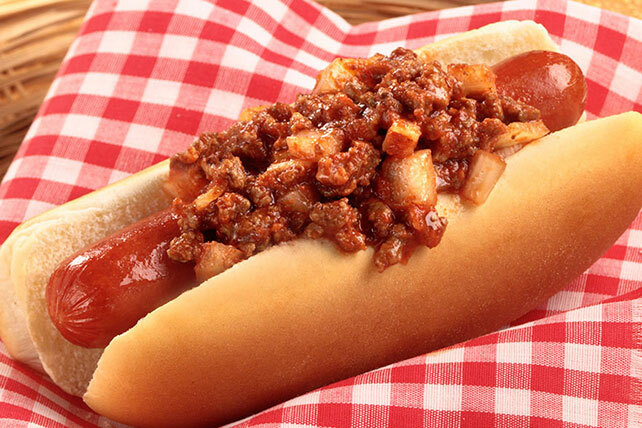 With ground beef, onions, tomato sauce and chili powder, Coney Island Hot Dogs pack amusement park flavor. Brown ground beef with onions in large skillet; drain. Return meat mixture to skillet. Stir in next 3 ingredients. Bring to boil; simmer on low heat 10 min., stirring occasionally. Meanwhile, cook franks as directed on package. Place franks in buns; top with ground beef mixture. Prepare using OSCAR MAYER Wieners.